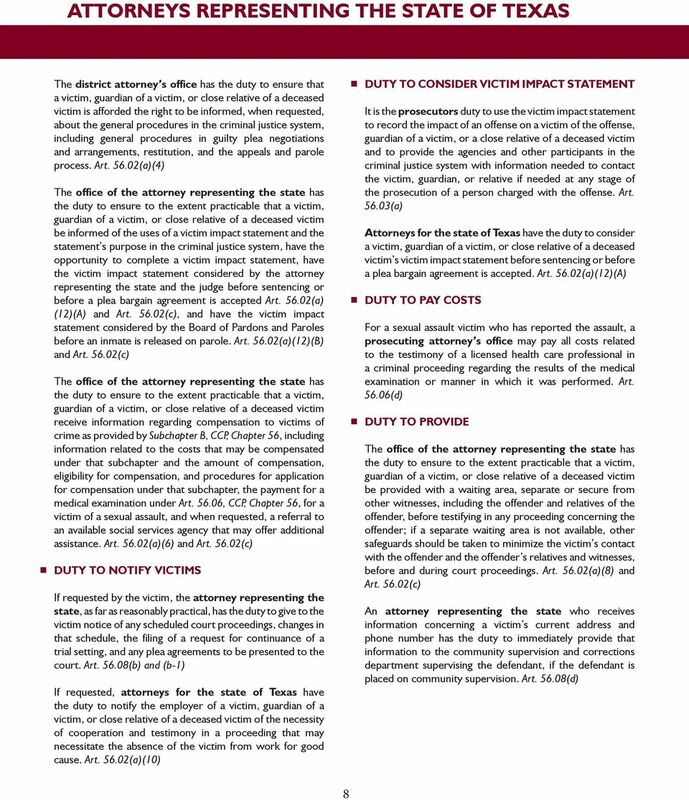 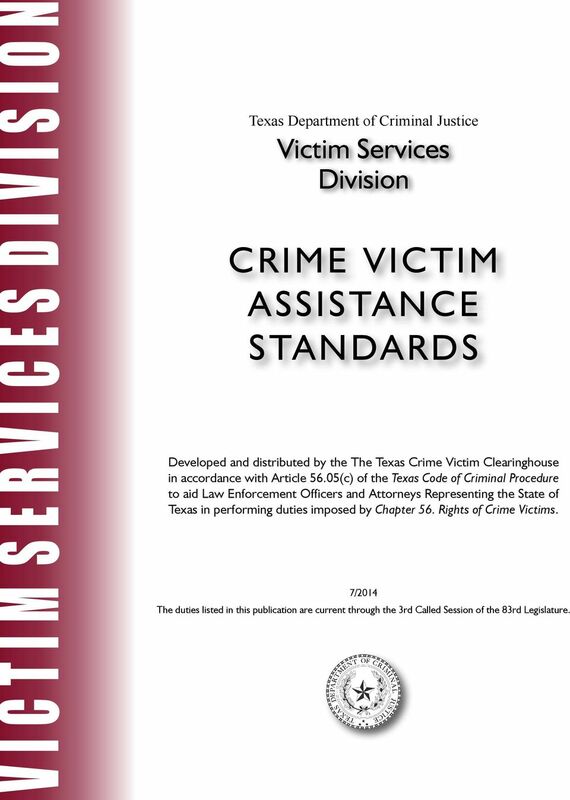 Download "CRIME VICTIM ASSISTANCE STANDARDS"
1 V I C T I M S E R V I C E S D I V I S I O N Texas Department of Criminal Justice Victim Services Division CRIME VICTIM ASSISTANCE STANDARDS Developed and distributed by the The Texas Crime Victim Clearinghouse in accordance with Article 56.05(c) of the Texas Code of Criminal Procedure to aid Law Enforcement Officers and Attorneys Representing the State of Texas in performing duties imposed by Chapter 56. 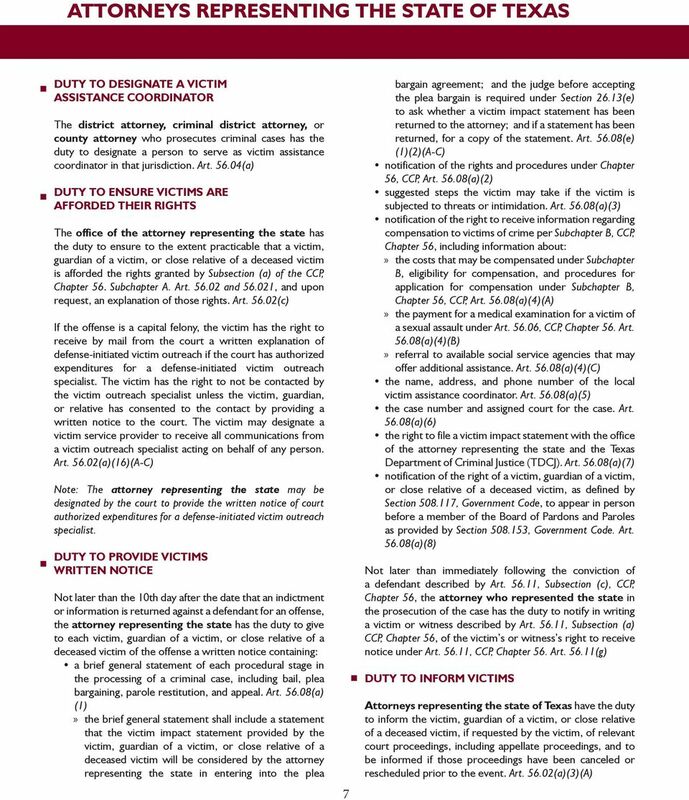 Rights of Crime Victims. 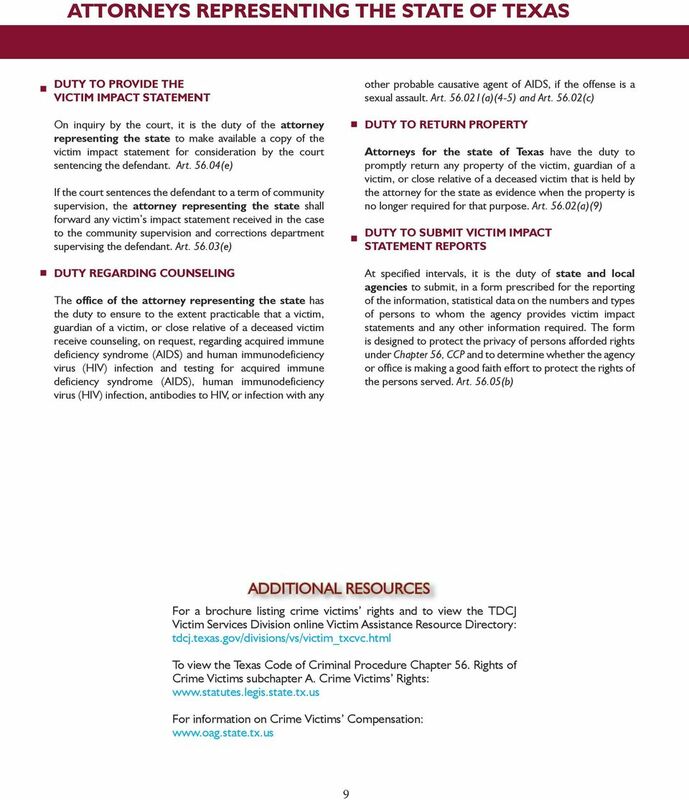 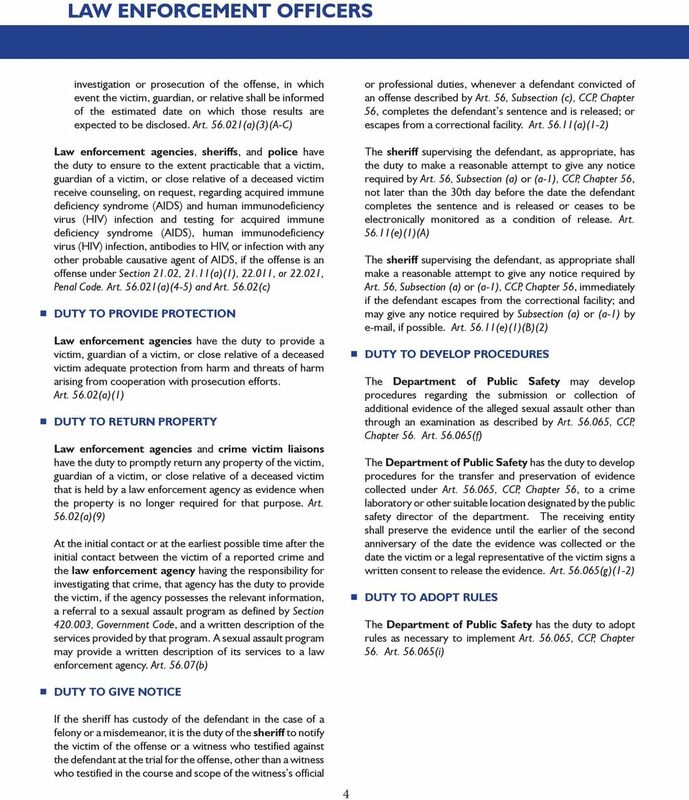 7/2014 The duties listed in this publication are current through the 3rd Called Session of the 83rd Legislature. 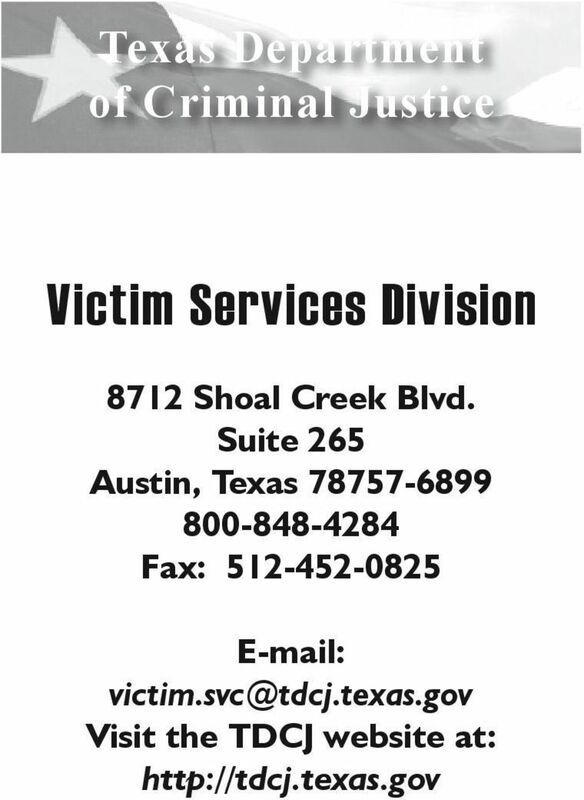 FEDERAL VICTIMS RIGHTS LAWS 1 CRIME VICTIMS RIGHTS ACT (CVRA): 18 U.S.C. 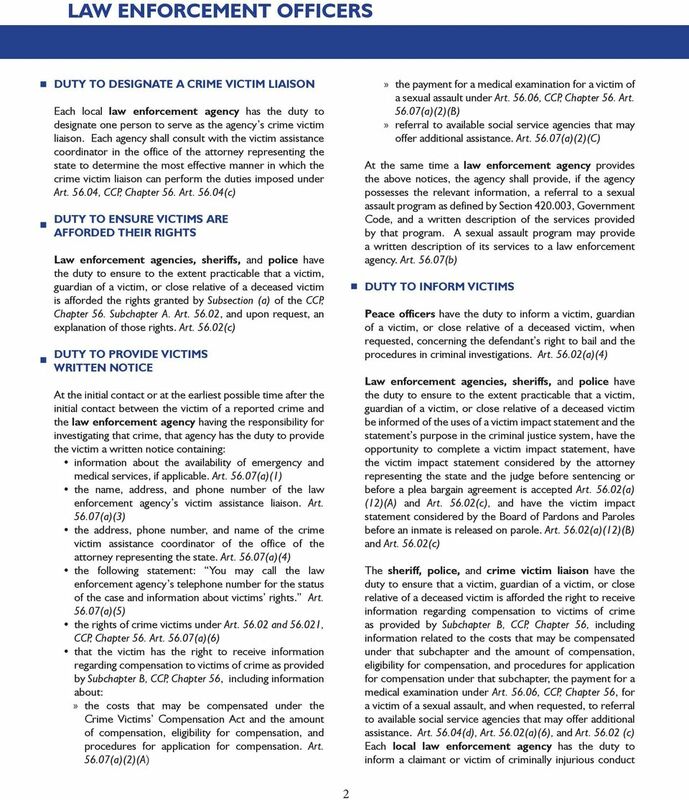 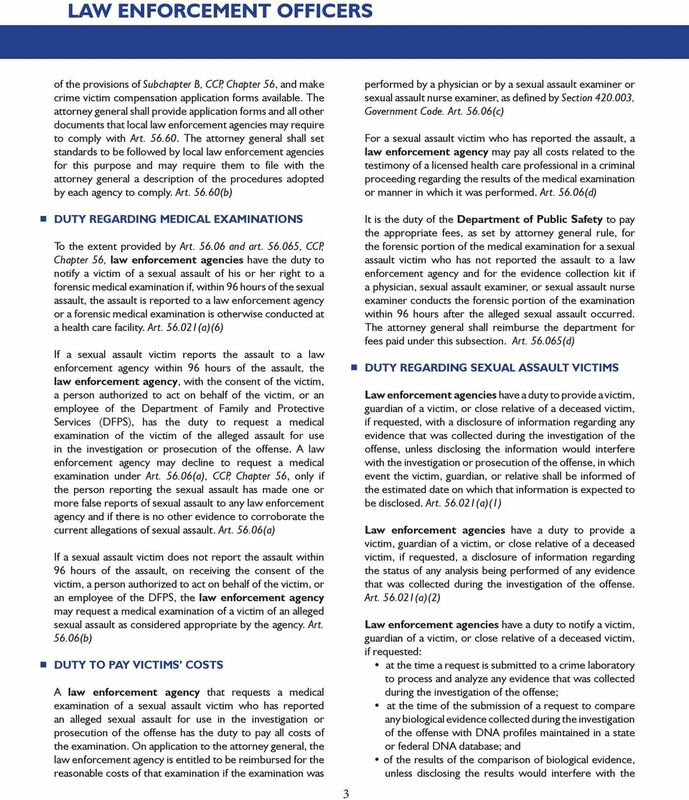 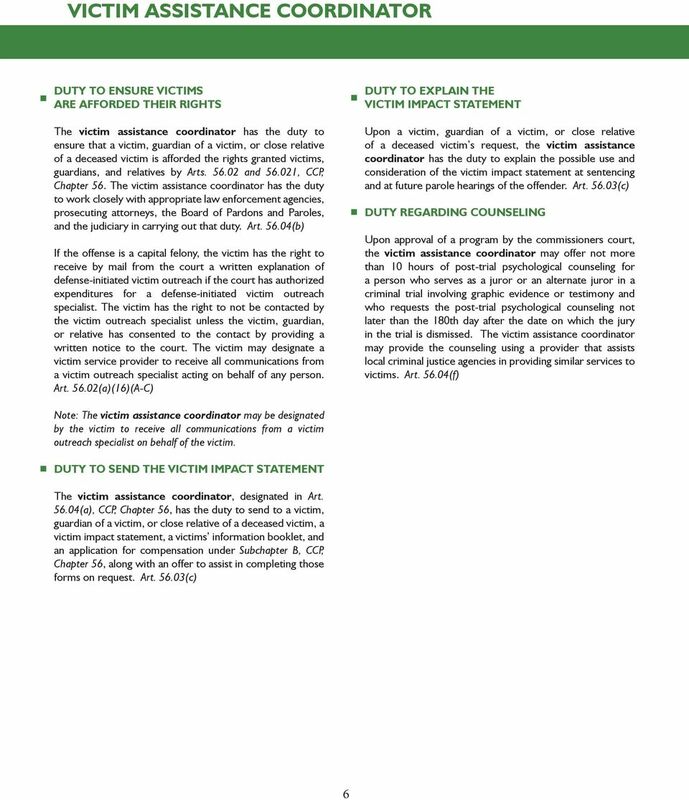 3771 (a) Rights of Crime Victims. 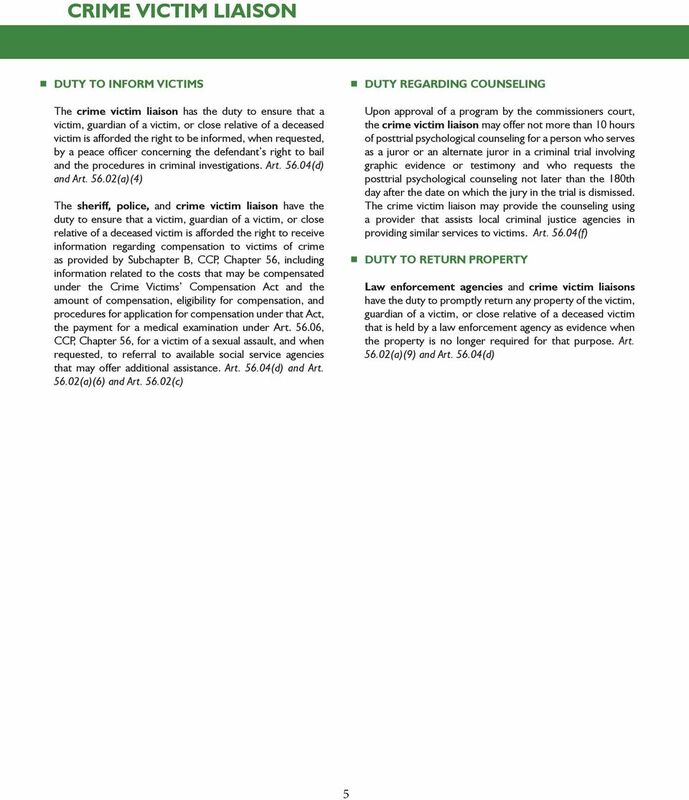 A crime victim has the following rights: (1) The right to be reasonably protected from the accused.